Almost everyone has a multimeter these days but radio amateurs need that bit more, a lot of it is very expensive but equivalents can often be built at home. 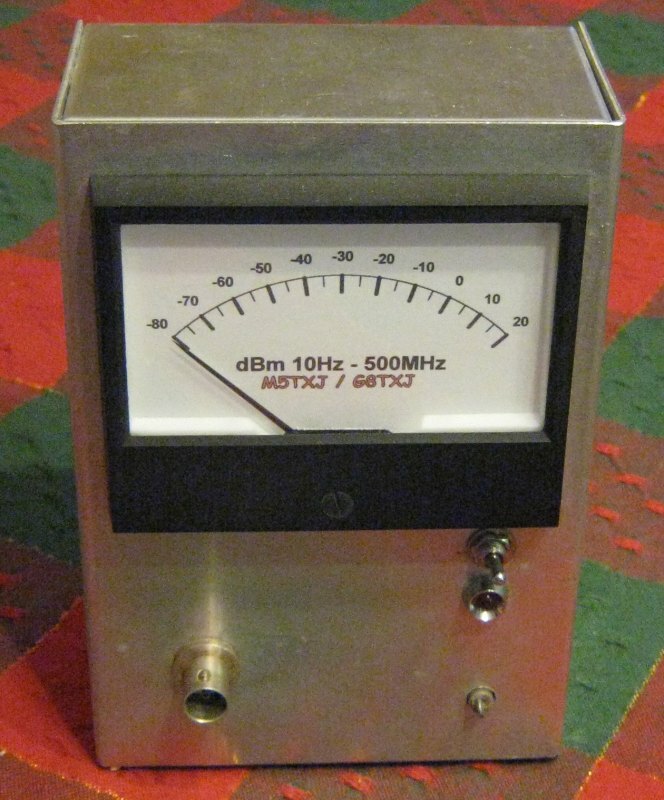 Extremely useful around the shack is a low power RF meter, this one from a design in QST magazine uses an AD8307 log amplifier which gives a range of -74dBm to +17dBm right up to 500Mhz. 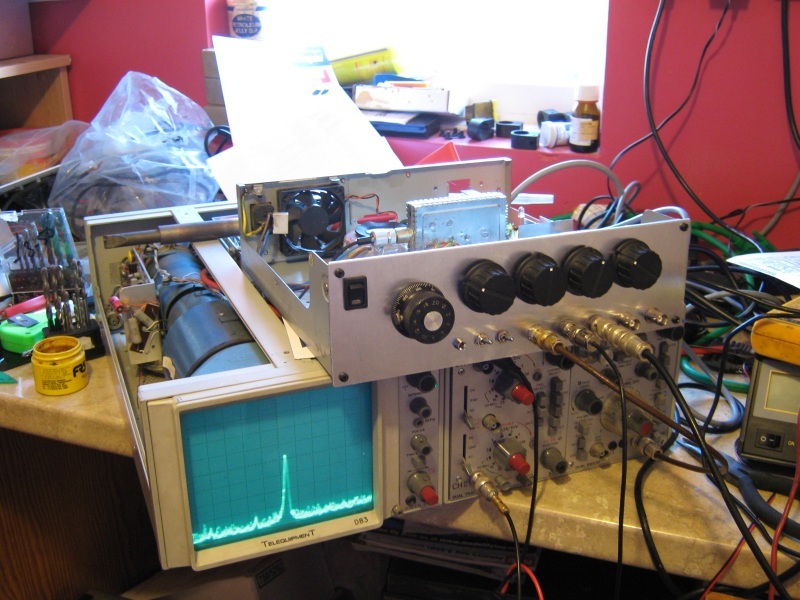 As I can't justify (yet) spending several hundred pounds on a commercial spectrum analyzer I've built an economy version from a kit donated by Rod G0IYQ. Using a "hyperband" TV tuner it covers 47 to 860Mhz in three ranges which with the addition of an up-converter for 1-50Mhz gives a very acceptable alternative to the real thing. Using an oscilloscope for the display you get a reasonable idea of what your transmitter is putting out. 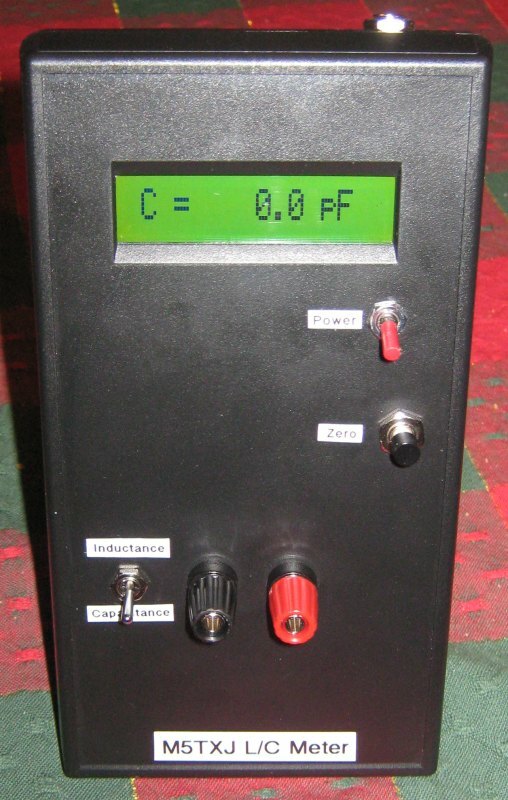 Built to a design I found on the internet, this LC meter is turning out to be extremely useful when constructing RF projects, great for matching capacitors. You can find more details here. I've made my own PCB using the laser printer/inkjet photo paper method which works well for home production.